considerations, food compliance regulations, and building design and construction. ...... For design of precast elements the reader is referred to the PCI. Jul 30, 2004 ... This manual presents fundamental principles underlying the design ... The construction of earth dams by hydraulic means was curtailed in the. 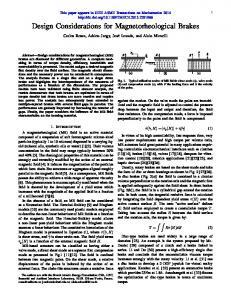 Jan 1, 2006 - layer, resulting in a magnetic orientation of the free layer in two stable ...... Technical Papers, IEEE Symposium on VLSI Circuits, 2003, p. 217. 9. Sources of information. ▫ http://www.esru.strath.ac.uk (design class notes). ▫ CIBSE Guide A and ASHRAE Handbook. ▫ Standards: PD CR 1752 (ventilation for. Apr 3, 2014 - causing major damages and losses human life. ... has represented agricultural and forestry systems tractor - trailer or agricultural machine,. The following welding methods are commonly used ... In the welding of aluminium alloys by conventional ... of mass depending the required inertia moment. design process for a small-sized house building company. ... (1998). 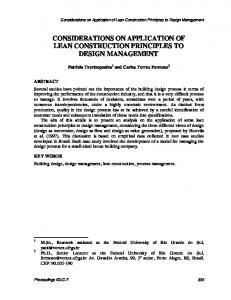 This paper discusses the application of some lean construction principles to design. Written for presentation at the 2008 ASABE Annual International Meeting Sponsored by ASABE Rhode Island Convention Center Providence, Rhode Island June 29 – July 2, 2008 Abstract. Meat and poultry processing facilities are an essential component of our food supply system. Like most agriindustrial production facilities, meat processing facilities have a number of unique design requirements. Design information, to date, has been limited. In an effort to summarize state of the art design procedures for meat processing facilities constructed in the United States, an overview of accepted standards and procedures has been assembled and discussed. With this paper engineers should become more familiar with specific design considerations for meat and poultry processing production facilities and develop appropriate references to expand their knowledge base. 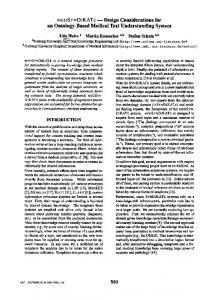 Educators may find this paper useful too. This paper discusses structural, layout, planning, construction, and sanitation of meat processing facilities and their effects on plant operation.
. Keywords. Design, Construction, Meat, Poultry, Processing, OSHA, Concrete, Steel, International Building Code, Sanitary Construction. The authors are solely responsible for the content of this technical presentation. The technical presentation does not necessarily reflect the official position of the American Society of Agricultural and Biological Engineers (ASABE), and its printing and distribution does not constitute an endorsement of views which may be expressed. Technical presentations are not subject to the formal peer review process by ASABE editorial committees; therefore, they are not to be presented as refereed publications. 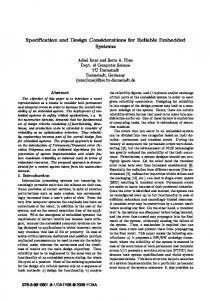 Citation of this work should state that it is from an ASABE meeting paper. EXAMPLE: Author's Last Name, Initials. 2008. Title of Presentation. ASABE Paper No. 08----. St. Joseph, Mich.: ASABE. For information about securing permission to reprint or reproduce a technical presentation, please contact ASABE at [email protected] or 269-429-0300 (2950 Niles Road, St. Joseph, MI 49085-9659 USA). 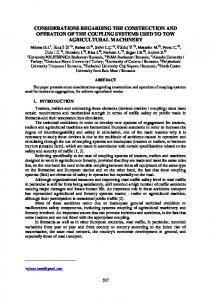 Introduction Food processing represents a large component of Agri-Industry. The meat and poultry industry is a major component of the food processing industry. According to the US Economic Census the industry employs about 505,000 employees which represents about one third of the food processing industry (US Census Bureau, 2008). The meat industry includes 3973 establishments or locations as of 2002 (US Census Bureau, 2008). These firms are involved in slaughtering animals; preparing processed foods and byproducts; and rendering and/or refining animal fat, bones, and scraps. This industry includes all companies that process poultry, cattle, and other domestic animals into meat products. In 2002 the meat and poultry industry had revenues in excess of 122 billion dollars and nearly 13 billion payroll dollars (US Census Bureau, 2008). As a significant part of the food industry, this industry represents a large portion of the food processing industry construction projects. According to food engineering magazine (2007) there were 506 projects exceeding $1 million or more in capital costs. This is further broken down into 203 new projects and 303 expansions/renovations (Food Engineering, 2007). A significant portion of these projects where in the meat and poultry industry. Because of this there is a need to quantify good design and construction techniques for these facilities. Williams and Bohnhoff (2004) defined an Agri-industrial facility as a firm involved in the postharvest storage, handling, and/or processing of agricultural commodities. Like all Agri-industrial processing facilities, meat and poultry processing facilities require special handling, storage, processing and transport considerations that are integral to their design. Agricultural engineers possess a unique combination of skills and knowledge to accomplish this design and to do planning, layout, and design for all aspects of processing and other types of Agri-industrial facilities. Therefore, the purpose of this paper is to provide compile design information for owners, practicing engineers and educators, so that they can have an effective reference base from which to work when designing or discussing meat and poultry processing facilities. processing includes unit operations such as heat transfer, size reduction, freezing, and conveying. Products include fully cooked products, breaded and marinated products that are ready to cook. Other companies produced canned, shelf stable or frozen prepared foods that are ready to eat. “Wastes” from the food industry include hides, hair, feathers, intestines and inedible products. Many of these products can be turned into value added consumer products, pet foods (meal), and biofuels which have significant value. Process flow diagrams for the poultry, beef, and pork processing industries are shown respectively in Figures 1 to 3. Animal Supply. Meat and poultry processing is highly dependent on a sufficient supply of animals for slaughter. Animal production is dependent on a strong local farming community which includes a sustainable feed supply and a suitable environment for raising animals. For example, beef and pork production is primarily in the plains and Corn Belt where feed supplies are abundant. Poultry production is strongest in the mid south and southeast where temperatures are more favorable for poultry growth. Utilities and Water. Food processing operations are energy and water intensive. Adequate natural gas for boilers and electrical power for processing equipment is necessary for planning a protein processing facility. Processing meat or poultry requires huge amounts of water and often this water must be pretreated because of high Biological Oxygen Demand BOD prior to entering the municipal waste system. Long Range Planning. Long range or strategic planning is a function of the strategic vision and objectives of an organization. It generally reflects the mission of the company and how it will proceed toward achieving its business objectives. For optimization of long-range profitability, capital spending on new facilities needs to reflect the strategic planning objectives of the organization. Figure 1 Typical block process flow for a poultry facility. Further Processing Figure 2 Typical block process flow for beef processing facility. Further Processing Figure 3 Typical block process flow for pork processing facility. Economic Factors. Economic considerations for the operation of a facility can have a major impact on its profitability. Local issues such as grain types and volumes produced in a particular geographic location, climate for animal growth, the availability of transportation, and the number of existing facilities in a particular geographic area will directly affect the economic success of a processing facility. Global economic issues, such as long-term increases in population, which in turn can increase demand, can also be a consideration. Additionally, the eating habits of the demographic population or the processing capabilities of regional industries may have an influence on production demand. Finally, Return on Investment, or ROI, should be a major consideration in the decision to operate a new facility. Labor Force. The meat and poultry processing industry is not as highly automated as other food processing industries. This makes it is very dependent on an available labor supply. This is a key concern because most plants are typically sited in a rural area where available population is more limited. Location/Site/zoning. Selection of an appropriate site is an important consideration for the profitability of a meat and poultry processing facility. Locations close to applicable transportation and infrastructure are essential for facility operation. Appropriately rated roads and highways are also essential for all operations with truck traffic. When searching for a new site the owner needs to consider the bearing capacity of the soil. On a sufficient site with good bearing capacity is desirable. Additional site issues can include drainage, wetlands, water, and other similar items. Facility Expansion vs. New Construction. Once a decision has to be made to build a facility in a specific geographic region, the owner and engineer must examine if a currently existing facility in the area can be expanded or upgraded first. If the discounted cash flow of the cost of the upgrades is greater than new construction then consideration should be given construction of a new facility. Technology. Like all industries, the meat and poultry industry is an evolving industry with changing technology. Senior management and engineers must be aware of new technological trends being developed within the industry. As technologies shift, companies must be flexible and make changes when they are appropriate. Facility Layout. Facility layout and design is a key consideration in the operation of a functional facility. The relative location between physical locations of the receiving and load out, or the possibility for double duty, can play a role in the operational costs of running the facility. The type of construction and the amount of available land can have major role in the physical layout of the facility. Finally, the budget that the facility owner has available can dictate the types and sizes of construction that can be pursued, and can place severe restraints on the design of the facility. Additionally, the layout of individual pieces of equipment can have an effect on the total labor and power requirements of the facility. Detailed Facility Layout Once the planning is complete, a flow diagram showing major unit operations is developed by the process engineer and the detail engineering can begin. The layout of the plant must be worked out, concurrently, by the process and building design engineers. The key to successful design of any process facility should involve the total integration of building layout and process unit operations. This first begins by laying out the major process equipment. The plant can be divided into receiving and holding areas, slaughter and processing, packaging and cold storage. These elements all have their critical aspects and should be separated (Figure 4). Once these areas are determined, the process engineer then designs the secondary process systems and utilities. Simultaneously, the building engineer roughs out the building layout based on the major unit operations taking into account engineering and building code limitations. Providing an enclosure for the unit operations and sufficient space for access and maintenance are key for layout of the processing facility. Human occupancy considerations include offices and welfare areas for meals and breaks. Buildings in a facility will be separated by major unit operations and flow of materials. The engineering team should examine the block flow diagram to determine which unit operations go together (e.g., Figure 1). Areas of each building should be arranged to minimize the transport of materials and should consider the optimal flow of materials (Figure 4). Additionally, the buildings should accommodate major equipment locations and have sufficient floor and headroom space for mechanical and process piping as well as electrical conduits. The designer should plan to have adequate work, utility, welfare, admin, and maintenance areas in the facility as well. The block diagram in Figures 1 to 3 shows the major areas of the facility. When planning and laying out a facility it is important to minimize the physical need for mechanical conveying. Machines also must be laid out with adequate clearance for access, maintenance, and compliance with safety and building code requirements. Additionally processing machinery should be laid out with utility access considerations. For example, Motor Control Center (MCC) rooms should be laid out in close proximity to the processing equipment. It is critical in food processing operations to keep the various areas of product processing operations separate from each other. For example, raw and finished product should be kept separate from each other by both location and physical barriers such as partition walls. Additionally, material flow, process flow and people flow all must be examined to ensure that any of these items do not cross pathways during the process operations. Consideration should be given to separate welfare, restrooms, and work areas for people handling products in different areas. It is also important to consider that the utilities and waste disposal systems must be separate from each other when even the slightest possibility of cross contamination could exist from daily processing activities. It is often essential to have separate waste water systems for raw and further processed areas of in a meat and poultry processing facility. Life Safety Design Considerations Once the layout has been determined by the owner and engineers, the facility detail design can begin. One of the first steps is application of the life safety codes. They are administered at state, local, and federal levels. Federal regulations, such as Occupational Safety and Health Administration standards from Title 29 of the US Code of Federal Regulations (NARA, 2007), and state-adopted model codes, such as the International Building Code (ICC, 2003a) dictate, in part, how facilities are planned and constructed. Highlights of these codes, as related to meat and poultry processing facilities, are discussed in the following sections. In this section a number of common elements related to life safety design will be discussed. Model Building Code The main building code in the United States is the International Building Code (IBC) (ICC, 2003a). The IBC defines a number of life safety and fire code related issues including occupancy types, construction types, height and floor area, egress, location on site, and a number of other major building layout issues. Minor details of construction such as stairs, guardrails, and equipment access platforms are detailed in the building codes. Some of the major items of consideration in the IBC are summarized in the following subsections. The reader should note that these discussions are not necessarily all inclusive, and they should consult the building code and other references for further details. Group F - Factory and Industrial – Non-hazardous building processing operations would fall under this category. Examples include further processing that does not produce explosive dust such as packaging or cooking operations that exist in many Agri-industrial facilities. Most areas in a meat and poultry processing plant are usually classified as category F-1. Group S – Storage – Generally this classification is used for the noncombustible storage of products. Buildings or areas that store non combustible products fall under this category. Cold and refrigerated storage fall under this classification. Once an occupancy classification is determined then fire rated construction type, height and floor areas can be determined. Table 1. Occupant loads for Meat and Poultry processing facilities. General office areas housing accounting, administration, and visitor reception. Areas housing major processing operations would fall under this category. Cold storage or dry goods warehousing areas would fall under this category. processing applications that can be unlimited if they meet certain frontage or fire sprinkler arrangements. The reader should consult the building code for specifics. Anytime these provisions are considered they should be coordinated with building code officials early in the project. Egress Once the occupancy type and occupant loads are determined the design engineer can determine the number of exits, total required egress width and check the maximum travel distance within each structure. Table 1005.1 of the IBC (ICC, 2003a) defines the amount of egress width per occupant. Minimum egress width is 32 inches as defined in section 1008.1.1. Egress travel distances are defined in section 1015 and in Table 1015.1. The number of exits are required are described in section 1018. Table 1018.1 describes the number of exits required per given occupant loads. Section 1013 describes common path of egress travel distances. Fire Rated Construction Requirements Construction type combined with occupancy defines allowable height and area of buildings in a facility. Chapter 6 of the IBC (ICC, 2003a) defines four major construction types. These vary from a highly protected Type I construction to the least protected Type V construction. They are further divided into subcategories of A and B, which define additional levels of fire protection. Generally, construction Types I and II consist of masonry, steel, and concrete structures. Type III construction has noncombustible exterior walls and interior materials of any material (e.g. timber). Type IV construction, heavy timber, is not commonly used in Agri-industrial construction anymore. Type V construction is construction where any combustible or noncombustible material is used for construction and is applied to construction types that do not qualify for Types I to IV construction. Construction type determines fire ratings which are influenced by many other areas of the life safety planning for the facility. Chapter 7 of the IBC discusses specific aspects of fire-resistive-rated construction. Fireresistive-rated construction procedures give the design engineer the details to obtain the fire ratings required in chapter 6 of the IBC. Specific elements that the engineer must examine include horizontal elements such as floors and roofs (IBC section 711) and vertical assemblies such as fire walls (IBC Section 705), exterior walls (IBC section 704), fire partitions (IBC section 708) and barriers (IBC section 706). Additional discussions of shafts (IBC section 707), penetrations (IBC section 712), and smoke barriers (IBC section 709) are made in chapter 7. Finally, section 721of chapter 7 discusses the calculation of the individual resistances of fire rated assemblies. Table 302.3.2 describes the fire wall ratings required for separation of occupancies and Table 602 describes fire-resistance rating requirements for exterior walls based on fire separation distance and/or location on site. Additional information on the calculation of fire resistant elements is provided by the American Society of Civil Engineers in ASCE 29-05 entitled “Standard Calculation Methods for Structural Fire Protection” (ASCE, 2005). For specifics, including other additional requirements, the reader is referred to Chapter 7 and other relevant sections of the International Building Code (ICC, 2003a) and the International Fire Code (ICC, 2003b). a mezzanine should not be counted as part of the floor area associated with the structure floor level. Additionally, it shall not cover more than 1/3 of the floor area of the room it occupies for purposes of building classification. Similar to other areas of the building, a mezzanine is required to have two independent means of egress. Industrial Equipment Platforms Equipment access platforms are a special form of a mezzanine and are discussed in section 505.5 of the IBC (ICC, 2003a). In general, the total of all equipment platforms should occupy less than two-thirds of the building area at each level, and for purposes of occupancy classification shall not added to the floor area of the building. Access equipment that is attached to the platform such as stairs, ladders, walkways, and similar access shall not serve as part of the egress system for that building level, but still must comply with IBC and OSHA requirements for construction. Building Envelope and Energy Usage Required heating, cooling, and ventilation load requirements can be determined from ASHRAE Handbook of Fundamentals (ASHRE, 2001), ASHRAE Systems and Equipment Handbook (ASHRAE, 2000) or the ASHRAE Refrigeration Handbook (ASHRAE, 2002). Meat and poultry processing facilities require very large amounts of refrigeration. Large refrigeration systems are typically ammonia based. Additionally, ventilation is a key element to operation and sanitation, requiring exhaust fans or ventilation. Proper planning and design of these systems can have a major influence on the building envelope design. Additional design requirements are discussed in chapter 4 of the International Mechanical Code (ICC, 2001c) and moisture requirements are covered in chapter 12 of the International Building Code (ICC, 2003a). For all buildings, the wall envelope must satisfy good thermal and moisture control. Chapter 14 of the IBC (ICC, 2003a) describes the thermal and moisture requirements of the building envelope. This chapter indicates that facility elements built to chapters 19 and 21 (masonry and concrete construction) of the IBC automatically satisfy the thermal and moisture requirements of this chapter. Wall or other building elements built to this standard must be moisture resistant. A tight building envelope is also required to maintain positive pressure in a building which is a key component of an effective sanitation program. Further discussion of envelope is included in the Building Envelope section. Another area of interest in recent years is the cost of energy. Traditionally, waste products were turned in to lower value co-products, land applied as agricultural waste, or sent to a landfill. With today’s high energy costs it is worthwhile to consider turning waste materials into to energy using cogeneration power islands or reducing waste production. Keener and Williams (2008) discusses energy and waste water usage. Fire Protection Systems The use of active fire protection systems in industrial facilities for meat and poultry processing facilities can be used to increase allowable floor area or height as described in the various sections of the IBC. Type I construction typically does not require sprinklers. Other times, fire sprinkler systems are required for unlimited area single story buildings as discussed in the height and floor area section. The need for fire sprinklers is highly dependant on the type of fire rated construction. Individual insurance underwriters often have particular requirements for sprinklers. Design of fire protection systems is discussed in NFPA 13 (NFPA, 1999b) and the International Building Code (ICC, 2003). Government Regulations Government regulations are administered on a state and federal levels. They have a significant influence on the design and construction of a food production facility. Two sets of regulations which drive the design and construction of meat and poultry processing facilities include OSHA and USDA regulations. OSHA OSHA standards are set out in Title 29 of the Federal Code of Regulations (NARA, 2007). These standards set workplace safety, and are considered a minimum that must be met for nonpublic operational areas of facilities. They cover a number of construction related issues such as access, exits, fixed ladder construction, stairs, ships ladders, guardrails, equipment access, and tunnel construction. Most items relating to constructed facilities are in section 1910 of Title 29 of the Code of Federal Regulations. OSHA standards are also of significant importance to facility operators as they influence a number of operational items relating to worker safety. OSHA standards are only utilized during design if more stringent than the governing building code. Site. Yards and lots adjoining the food processing facility should be maintained so they are not a source of food contamination. This includes keeping shrubs away from the building. Additionally the storage of waste must be in appropriate areas and the parking lot must be constructed in a manner to prevent food contamination. The parking lot must also be laid out in a manner such that it is well drained. Care must be taken in the layout of facilities to prevent sources or habitat for infestation. Building. The USDA requires that the building be constructed in a way such that floors walls and ceilings can be easily cleaned. Floor drains should be provided in wash down areas. Ducts and pipes must be located where they cannot contaminate food from condensation or falling debris. Adequate space should be provided between equipment and walls for cleaning. Materials of construction must be selected that are durable and easy to clean. These requirements directly influence sanitary construction methods. The reader is referred to the sanitary construction section for details. Utilities. A facility must maintain an operating system for waste treatment. There must be a potable water supply and adequate plumbing. There must also be a suitable dry and wet waste disposal system depending on the processing method. Subsequent to that rubbish and offal disposal must be provided for. Adequate toilet and hand washing facilities must be provided for employees. Lighting and ventilation. The USDA requires that adequate ventilation and control equipment are in place to minimize odors and vapors (including steam and noxious fumes) in areas where they may contaminate food. It also requires that fans and other air-blowing equipment are located in a manner that minimizes the potential for contaminating food, food-packaging materials, and food-contact surfaces. Sanitation. Other operational aspects that need to be considered during the design and layout of a meat and poultry processing facility include items such as cleaning/sanitizing of physical facilities, utensils, and equipment. Storage of cleaning and sanitizing substances is a concern requiring cleaning area to be designed in an appropriate manner. Layout of the facility for sanitation is a big concern. Pest control programs are also important. Maintenance. Because food production facilities are harsh environments, design for maintenance and repair is essential. The FDA requires that all food production facilities be kept adequately clean and kept in good repair. Additionally, drip from condensate from ducts, pipes and fixtures should be avoided by placing drip pans underneath the piping or placing them in a USA space. Building System Design The building system design consists of many elements. In a food processing facility the building acts as a system that is integral to the food production system. In addition to the fire codes and structural concerns the design engineer must be fully aware of processing and sanitation issues. Building Envelope Heat transfer and condensation are often critical situations in food processing facilities. There is no exception for meat and poultry processing plants. Facilities undergo wash down cycles a number of times during each day. After wash down, processing areas can have relative humilities nearing 100 percent. A number of factors are critical in the formation of condensation. Key elements include inside temperature, humidity, and ventilation. The building envelope plays a major role in the reduction of condensation because of its role in temperature control and infiltration. Insulation type can also have an influence on facility sanitation and operation and, thus, it is advisable to limit insulation to the following types: • Rigid Insulation. Insulation such as Dow blue board insulation is an example of rigid insulation. Rigid insulation is typically used under concrete floors and against underground concrete walls in freezers or coolers. • Foam in place insulation. This is a urethane insulation that comes in cans or barrels. It is used to fill voids or points of infiltration between other insulation types or gaps in wall systems. • Insulated Metal Panel (IMP). Insulated Metal Panels can be assembled around building frames or placed against masonry or precast walls. They can also be used to provide building separations between different process areas. Most panel construction utilized urethane insulation. • Precast Sandwich Panels. Precast Sandwich Panel construction in combination with an effective vapor barrier can be an effective means of providing an economical building envelope. Mw = rate of vapor transmitted (grains/hr) A = Area normal to the direction of mass flow (ft2) Pi = vapor pressure on the inside of the wall (in. Hg) Po = vapor pressure on outside of wall (in. Hg) Dt = overall vapor resistance ((h*ft*in. Hg/grains) Permeability of various materials is given in ASHRAE (2002). From a practical perspective the vapor resistance, Dt, should be 20 or greater. Finally, there should be enough ventilation for all areas of the establishment including work rooms, processing, packaging and welfare rooms to ensure sanitary conditions. A good ventilation system is important to the production of wholesome meat and poultry products. Without controlling the quality of the air coming into the establishment, products may become contaminated with dust, insects, odors, or condensation. When designing your ventilation systems, you should consider the following guidelines: • The ventilation system should be designed to minimize turbulence. Longer air flow distances and solid objects such as walls, equipment, people and product can increase turbulence. 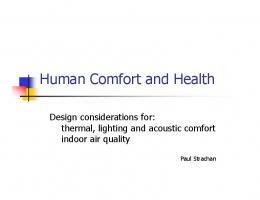 • The ventilation system should be sized for the establishment and designed using the principles outlined in ASHARE. The larger the facility, the greater the volume of air that must be moved. • The ventilation system should be designed to compensate for changes in outside temperature and humidity that cause condensation problems within the establishment. This includes the ability to adjust both temperature and humidity. This will reduce condensation, steam or fog. • Screens and filters should be used on make up air sources to screen out dust, odors and insects brought in from the outside to prevent product contamination and sanitation issues. • When exhaust fans are installed, provision should be made to provide enough outside make up air to prevent air from being drawn into and through docks, coolers, into production areas. drains or slot drains. These are strategically located under key equipment. The process waste that is collected by the floor drains is piped separately from the sanitary waste into an offal and/or a waste treatment area. Walk on Ceiling. A Walk on Ceiling can be used to separate the ceiling space from the work space below. The walk on ceiling or USA space improves plant sanitation and provides a place to run utilities without major expense. Walk on Ceilings are usually constructed from Insulated Metal Panels (IMP). Process Separation. Raw and finished product should be kept separate from each other. This is done by having different areas for raw and fully cooked processing. Also keep in mind that employees that work in these different processing areas must have different welfare areas. Air Conditioning and Refrigeration. In a food plant, both refrigeration and process loads are equally critical to the operation of the facility and overall sanitation. Coving or Curbing at bottom of walls. This is typically done by creating a concrete curb about 4 to 8 inches wide and at least 12” high. Curbs in areas with forklift traffic have been constructed as high as 48” inches tall to provide additional protection to walls. Sanitary Shapes. Sanitary shapes can consist of both airtight sealed or completely open members. Structural members that support floors, mezzanines, platforms, and equipment need to be sanitary. Two schools of thought exist for this. If a member is sealed to be airtight then dust or moisture cannot get inside of the member. The other school of thought indicates is that if the member is open then can be easily cleaned. Experience by the author indicates that in dry processing facilities (such as flour mills or grain elevators) that closed shape members are better, but open shape members are more sanitary in wet facilities such as meat and poultry processing facilities. Ledges should be avoided if possible. Avoid dust ledges. Flat ledges should be avoided in all circumstances where dust and water accumulate. For example, shedding using grout is desired on inverted precast tee ledges. In this case they should be grouted in such a manner that dust and debris does not accumulate on member horizontal surfaces. Eliminate Voids. Pockets and gaps between walls are areas where moisture, dirt, and pests can accumulate. All designs should avoid these conditions. Coatings. Wall coatings should be food safe and able to resist the multiple cleanings with harsh chemicals. Floor coatings should be slip resistant cleanable and abrasion resistant. Epoxy or urethane finishes work well as floor coverings. For paints and wall coatings epoxy based coverings are the norm but other coatings are possible. Epoxy paints on masonry, concrete and steel members are preferred. Sealers are preferred on exposed concrete. Caulking. Food grade caulking to seal all joints, connections, etc. where infestation can occur or water can penetrate. Openings. Doors jambs should be solid, tight fitting hardware, with no joints. All cavities should be sealed with expanded foam. Windows should be minimized and any sills should be sloped where they are used. Jambs, sills, and other areas should be solid with no voids. Floor drains. One drain per 400 sf in processing areas is desirable. Some areas are better served by trench or slot drains. Floors should positively slope towards the floor drains. Trench drains should have a positive slope. Floors Floor finishes are important aspect of food processing facility construction. Production areas undergo constant wash down and exposure to blood and cleaning chemicals. Floors will often wear down from the constant cleaning and washing. Common industry practice is to finish the floors with a slightly roughened slip resistant concrete. As the floors wear down they are typically covered with a urethane or epoxy floor coating. Non production areas such as storage or maintenance areas are usually finished concrete (slip resistant) and office, welfare and admin areas will be finished with a vinyl composition tile. Walls Walls that are durable, impermeable to moisture, and vapor tight are the most desirable in a food processing facility. Walls are typically constructed from insulated metal panels, CMU or precast concrete. Insulated metal panel finishes consist of stainless steel or white kynar finishes. CMU walls need to have pores filled epoxy fillers and coated with epoxy paints/coatings. Precast walls require a smooth, hard finish. It is important that all surfaces be cleanable. Insulated metal panels can create a tight, well-insulated building envelope, but if improperly designed or constructed, they may have air tightness problems and condensation may form at thermal bridges or at air leaks. Physical damage to metal panels can be difficult to repair. The use of air retarders/vapor barriers as part of a insulated metal panel system can decrease condensation/infiltration problems and save energy. Ceilings Ceilings in food processing plants such as meat and poultry processing facilities are constructed using Insulated Metal Panels (IMP). They are typically hung from the roof system and form an access space to run utilities, ventilation and process lines. This area is commonly known as a USA space. Process areas typically use a stainless steel or kynar finish on the panels. Roof System Leaks can shut plants down so a complete, tight, and durable roofing system is required for meat and poultry processing facilities. Most plants use low slope roof systems and thus, a built up type roof system performs the best under these conditions. The best roof system is an SBS Modified bitumen system. Other systems such as single ply adhered membrane systems have been used to cover roofs. No matter what system is selected attention must be paid to detailing to prevent air and vapor infiltration. Secondary Areas Secondary areas in a meat and poultry processing plant mainly consist of non-production and storage space. A protein processing plant has a number of support areas that are integral to a working facility. Included among these areas are employee welfare areas, maintenance areas, administrative areas, and areas for utilities such as electrical or compressor rooms. These areas do not have the same construction requirements as the main processing areas. These areas are constructed adjacent to the primary processing areas and are usually constructed using precast or masonry materials as dictated by the building codes. These areas are discussed as follows: • Maintenance and Utility areas are an integral part of the processing plant, but they are a different work environment compared to the processing areas of the facility. Typically, they follow the main areas of the plant in terms of main construction (e.g. steel frame or precast frame) but IMP wall panels should be avoided in these areas due to their lower durability. In this instance, it is common to use the following building construction types: o CMU walls are typically used when the primary structure is steel construction. Precast walls can be considered when cost effective. o Precast walls maybe used when the balance of the structure is precast construction. o Flooring finishes are not as critical and troweled concrete floors without special finishes should be used. Floor drains and coatings are not as important in these areas. For example, only a single floor drain may exist in an entire workspace for occasional cleaning. Floor coatings are often not used in maintenance or utility areas. Dock areas These areas are close to a freezer and cooler area and they open up to the outside. Because air can move in from the outside untreated, it is important to control or adjust the incoming air temperature or humidity. These areas require special attention. Supplemental air conditioning is required in these areas. ASHRAE (ASHRAE, 2002) recommends a refrigeration load of 5 tons per 1000 sf of floor space for loading docks. Dock doors should be about 48” off the ground for trucks and 54” for rail car loading areas. Doors should be insulated. Dock walls are usually constructed from Steel/IMP, precast concrete or CMU. As an area with major traffic from both trucks and fork lifts there is a need to take into account the abuse that these areas undergo. Loading docks have significant fork lift traffic which may necessitate 48” high curbs. Truck traffic that backs into the loading docks may require additional reinforced walls with pilasters or columns to support walls. grade caulk, and foam-in-place insulation. Walls joints must be sealed using urethane caulk. Insulation R values shall be provided in compliance with ASHRAE standards. Floors shall be insulated in compliance with ASHRAE recommendations. Floors shall be placed on an adequately compacted fine granular base and a polyethylene vapor barrier. Under floor heat is required in all freezers to prevent frost heave in the floors. The guidelines in ASHRAE Refrigeration, (ASHRAE, 2002) detail the requirements for refrigerated facility construction. Coolers have many of the same issues as freezers except the floor heaving is not generally a concern. Condensation can be a critical production issue for a cooler space and thus the same detailing requirements that apply to freezers should be applied to coolers except that floor insulation is not required unless the cooler space could be converted to a future freezer space. Access Platforms and Equipment Supports Access platforms exist both in the interior and exterior of a meat and poultry processing facility. Interior Platforms are used to access machinery or as elevated walkways. Walking and working platforms inside of a production facility should be of sanitary construction. Often times these are constructed using open shapes that are easy to clean. These platforms should be stainless steel construction. Exterior Platforms are used to support refrigeration equipment or access exterior equipment. These platforms should be of painted or galvanized construction. Meat and poultry processing plants contain mechanical conveyance systems for moving the carcasses throughout the plant. Poultry conveyance systems are lightly loaded and can be ceiling or floor supported. In pork and beef processing facilities the conveyance system is hung directly from the building main frame and thus operating loads should be incorporated into the building design. References ACI. 1989. Tilt-up Construction Seminar Handbook. Detroit, MI. : American Concrete Institute ACI. 2002. Building Code Requirements for Structural Concrete. 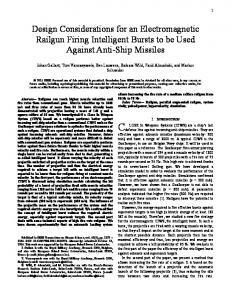 ACI Publication 318-02. Detroit MI. : American Concrete Institute. AISC. 1989. Specification for Structural Steel Buildings – Allowable Stress Design and Plastic Design, 9th ed. Chicago, IL: American Institute of Steel Construction. AISC 2001 . 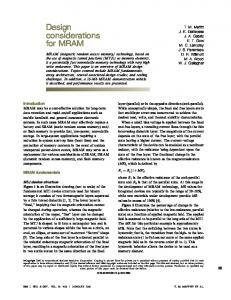 Load and Resistance Factor Design Specification for Structural Steel Buildings. Chicago, IL: American Institute of Steel Construction. ASABE 2004. EP 378.3 Floor and Suspended Loads on Agricultural Structures Due to Use. ASAE . St. Joseph, MI. : ASAE. ASCE. 2002. Minimum Design Loads for Buildings and Other Structures. ASCE 7-2002. Reston, VA.: American Society of Civil Engineers. ASCE. 2005. Fire Resistant Design and Construction. ASCE 24-2005. Reston, VA.: American Society of Civil Engineers. ASHRAE. 1999. Energy Standard for Buildings Except Low-Rise Residential Buildings. Atlanta, GA.: American Society of Heating, Refrigerating and Air-Conditioning Engineers. ASHRAE. 2001. ASHRAE Handbook - Fundamentals. Atlanta, GA.: American Society of Heating, Refrigerating and Air-Conditioning Engineers. ASHRAE. 2002. 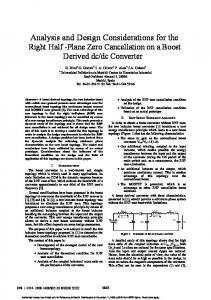 ASHRAE Handbook Refrigeration Atlanta, GA.: American Society of Heating, Refrigerating and Air-Conditioning Engineers. Food Engineering. June 2007. 30th Annual Construction Survey: Projects Go Green. BNP Media II, L.L.C., Troy, MI 48084-3333. ICC. 2003a. International Building Code. Falls Church, VA.: International Code Council. ICC. 2003b. International Fire Code. Falls Church, VA.: International Code Council. ICC. 2003c. International Energy Conservation Code. Falls Church, VA.: International Code Council. Imholt, J. and T. Imholt-Tausher. 1999. Engineering for food safety and sanitation. Technical Institute of food safety. Keener, K. M. and G. D. Williams. Design Operational Practices in Food Processing Plants. ASAE Paper No. 082383. St. Joseph, MI. : ASAE. NARA. 2007. Code of Federal Regulations. United States National Archives and Records Administration. Available at: http://www.access.gpo.gov/nara/cfr/cfr-table-search.html. NFPA. 1999b. Installion of Fire Sprinkler Systems. NFPA 13. Quincy MA: National Fire Protection Association. Precast/Prestressed Concrete Institute. 1999. PCI Design Handbook. Chicago Illinois U.S. Census Bureau. 2007. County Business Patterns. Available at: http://censtats.census.gov/cbpnaic/cbpnaic.shtml. Williams, G. D. and D. R. Bohnhoff. 2004. An Overview of North American Agri-Industry. 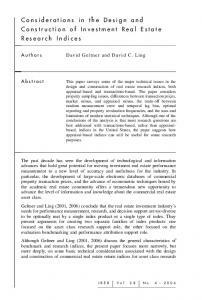 ASAE Paper No. 044173. St. Joseph, MI. : ASAE. 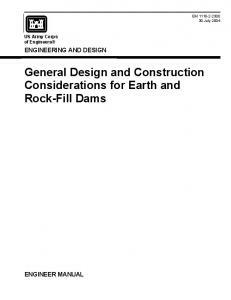 Report "Design Considerations for the Construction and ..."